Why Is It Necessary to Clean the Household Appliances? The websites for Online Shopping Home Appliances has made the task of buying different appliances for different household works much easier and affordable. The hygiene and the cleanliness of your home including your kitchen are vital to maintain the health of your family members. With the amount of time invested to do the household tasks, there exists a need to keep the appliances clean. One needs to maintain the level of cleanliness on a regular basis. 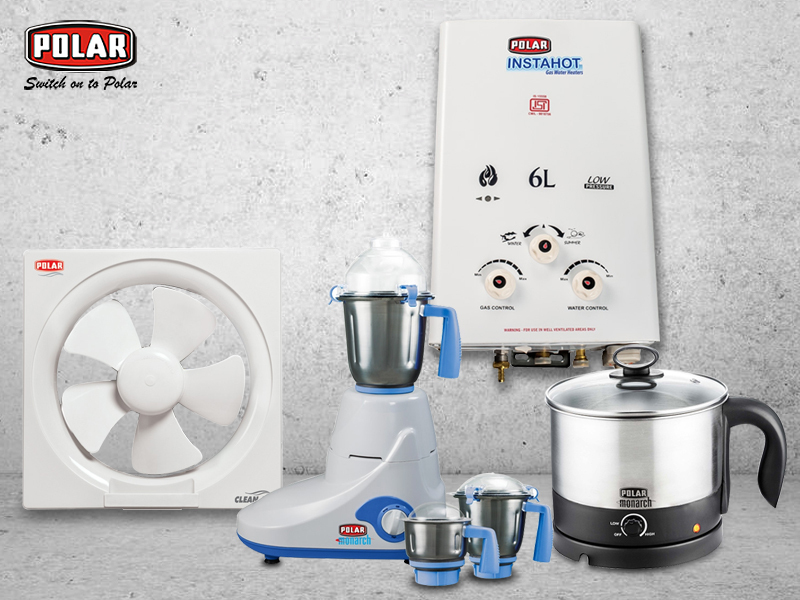 After all, these appliances work as the magical wonders and help to complete every household task in a matter of minutes. Some of the most commonly used home appliances are blenders, mixer grinders, irons, electric kettles, room heaters, water heaters, etc. Do your Online Shopping Home Appliances to save more on the best quality products without even putting a step out of your home. Efficiency:- A clean appliance will definitely work efficiently. By keeping the hoses, nozzles, and the other functional parts of the appliances clean, one can make sure that the basic systems of the appliances are in their tip-top conditions, which will make the appliances work the way they are supposed to. So make sure to wash and clean the products on consistently. Health of the Family Members:- Almost every home appliance is prone to bugs, fungi, and germs that are likely to be the carriers of the fungal diseases that can affect the health of all the family members badly. For example, using a clean mixer grinder can give the assurance of consuming healthy foodstuffs that are not contaminated with germs. Different microbes are found to thrive well in the warmers areas, and there they multiply very rapidly. This reduces the chances of getting ill tremendously and regularly. Cleaning the appliances help in preventing the molds from growing in the cooking and the food handling zones like the sink. Mold is perilous as these contaminate the food rapidly. This can ultimately spread a foul smell in the entire home. For this reason, it is mandatory to keep every appliance clean and hygienic. Durability of the Appliances:- Keeping regularity in maintaining the cleanliness of the appliances will help in increasing the longevity of the product used. Moreover, appliances will not get rusted soon if kept clean. Maintaining Freshness:- Who does not love the fresh smell coming out of the kitchen and the entire home? Cleaning the appliances consistently help in making the smell much more desirable. A clean house with clean appliances obviously helps in creating a comfortable and a healthy environment for the family members as well as for the guests. Lesser Utility Bills:- Clean appliances consume less energy besides working more efficiently. This lowers down the utility bills. Hence, it is a good idea to cut down the estimated monthly budget. Cultivate cleanliness by keep your daily used appliances clean. Check out the best Home Appliances Website to purchase the appliances that are more energy-efficient and cost-effective.